I am linking up today with Melyssa for my Weekly Wishes series. While I may not post about all my wishes for the weeks and the upcoming months, they are made and they are there. I would like to touch on some things that have happened in that regard first and what I am wishing for too! THEATRE | My previous wishes of getting back into the theatre have continued to be fruitful. My motive for returning to my childhood passion (and my major at Uni) was that I really needed a hobby. Between my husband and I, one of us has to be home to watch the boys and since I now work from home my social circle is not that big. I have to work at finding creative ways to get out of the house and meet new people. It really becomes harder as you get older to make new friends from when I was younger and moved around frequently. So being able to return to something I love to start growing my network has been a blessing. Want to be involved in the theatre world in your area? Step Up and Volunteer your Services: My local theatre group has a newsletter that goes out every month, to which I am subscribed. I read in a recent newsletter there was a need for a secretary for their monthly meetings. I felt it was a great way to get involved and so far I have really enjoyed it. Attend a Script Reading: Most theatre houses and drama groups will have readings through out the year. This is a great way to meet people and enjoy the theatre scene. You may even get to be involved! I was asked to take a part for a rehearsed reading at our local group and found myself on stage once again after ten years of absence from the theatre. If you have never been to a script reading, I definitely recommend it! Audition, Audition, Audition: Yes if you really want to be involved you got to put yourself out there. I have been wanting to do this since my kids both became school age but let the ‘american accent’ be my excuse. I finally decided to go and went to my first audition this summer just to try it once. It ended up getting me introduced to one of the local theatre groups and to attend another audition. This one for the Cinderella Panto in January and I got a part. We had our first read through this weekend and I was so excited to meet the whole cast. Have a Skill: The theatre is not just about being on stage and acting. There are so many facets to the theatre community and ways you can help out and be apart of the group. From backstage to the front of the house. All you have to do is ask. See what doors open for you. MOVING | Previously our landlady had decided not to renew our lease which meant we would be having to move days before Christmas again. Between Expat stresses of getting my husband’s visa this month we were also constantly looking at places online and going to viewings in person to find a new ‘home’. Our prayers were answered at the end of last week when we found out our landlady would not be needing the property back and would renew for another six months. So now I can officially plan to be here for Christmas and decorating and put off the house hunt until 2014. 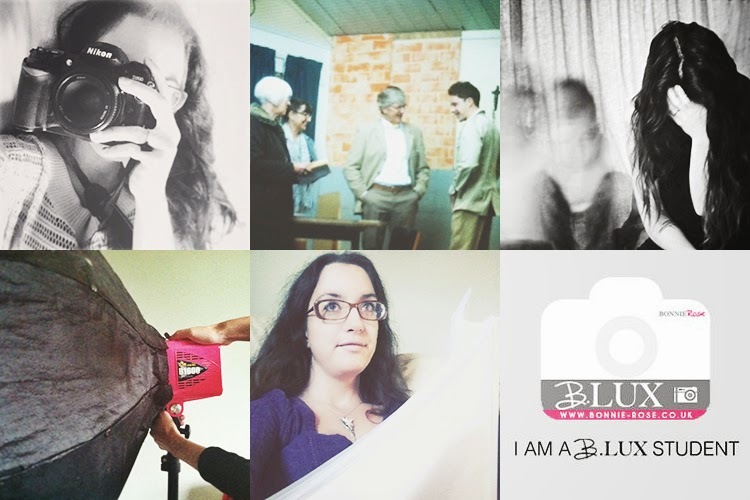 TEACHING | My current passion is photography. 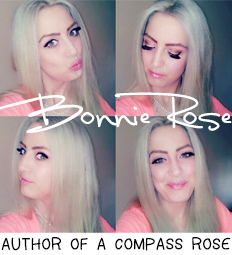 It has been since I was a young girl and more so since 2007 when I began my business, Bonnie Rose Photography. Today marks the official first day of my B.Lux photography courses and I have been so excited to work with my students this month. So far I have just one course available, B. In Focus with at least six other courses in production. The next class for B. In Focus is open for registration and begins on Monday the 4th of November, 2013. My wish is for live workshops to be available in 2014 starting in England. I love sharing about photography which is why it is a huge part on my blog. I have a special photography guest post today on Kate’s Grow Your Blog Baby: Photography. Want a photography guest post for your blog, let me know! LONDON BLATE | I am also hoping to be doing a blate in London next month with my fellow Expat bloggers. It is always good to have something to look forward to and not that I am not stressed out about an impending move a trip to London sounds lovely! Who among my blog readers is in the London area? RECENTLY | I also just wanted to highlight on some recent events in case you missed it. War on Girls: a new post in the series yesterday about an inspirational poetry slam. Advice: I would love if you could help me break down that fourth wall and share what you love or may not like on the blog so I can tailor this both for you and me. Travel Tuesday: I am still doing Travel Tuesday link ups and have changed the button in case you are still using the old one. Hope to see you all tomorrow as I will be mentioning our November theme! Self Portrait: Along with my goal of posting every day, doing one self portrait a week is my other. Played around with slower shutter speeds this weekend and had my son help out for a more conceptual piece. Whether you just like to follow along or want to link up it is a Self Portrait Saturday challenge. Q: Tell me What you think about anything, I love hearing from you. 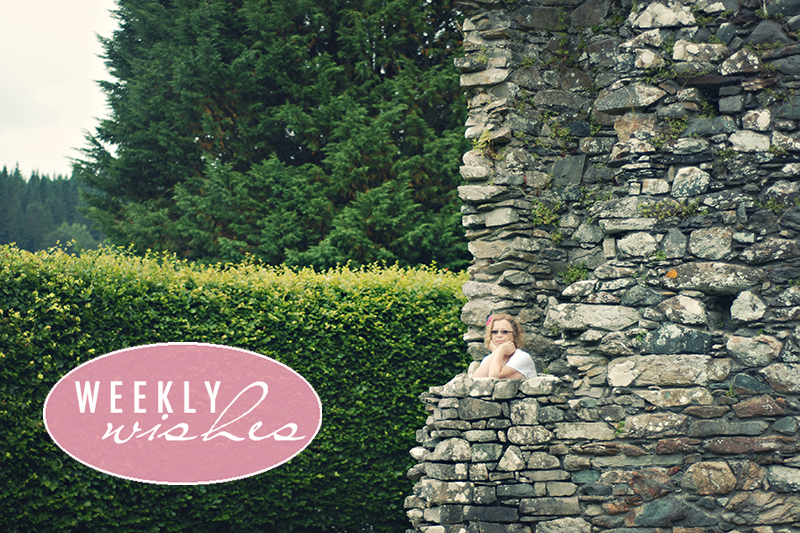 A candid of my mum and outtake from a photo shoot at the Cymmer abbey ruins outside Dollgelau, Wales. 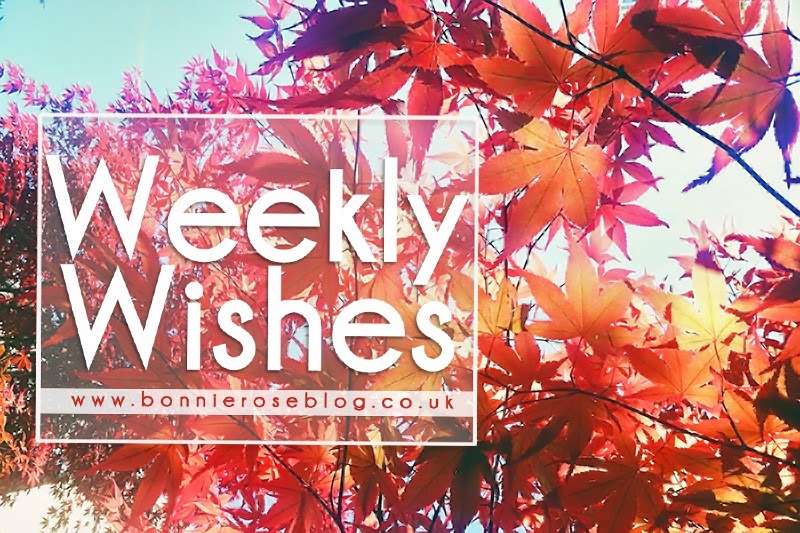 With September upon us the Weekly Wishes series, hosted by The Nectar Collective, is back on track here on A Compass Rose. 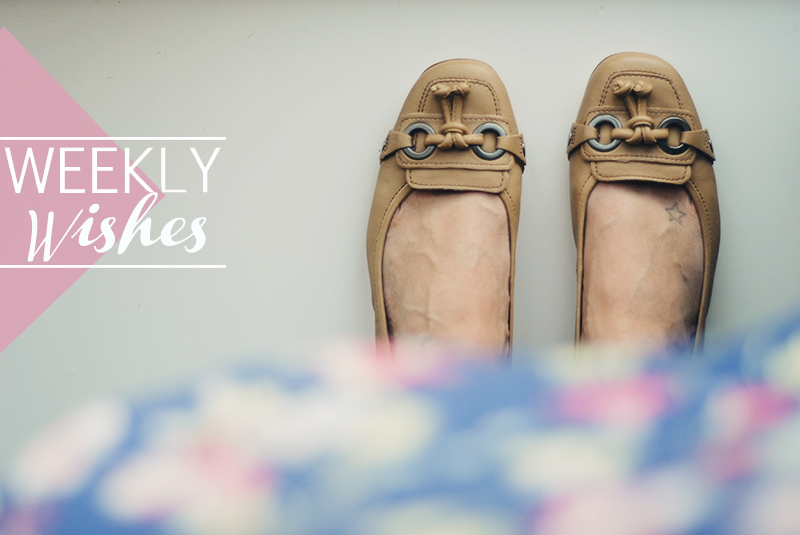 If you are a new reader this is a weekly blog themed at positivity for the upcoming week. If you are regular friend here, I hope you enjoy seeing this being picked back up. UPDATE! If you missed my update on the post Exciting News, my weekly wish to get back into the theatre has been successful. Get all caught up. It is crazy how backed up you can get in the blogging and social media world when you go on vacation. While our trip had ended I was still on ‘summer vacay’ with my boys while school has been out of session. Then it just piles on as the days go by. With their school year starting this week, I have been working hard on crossing off things on my todo list. I have just my email account to tackle and I apologize to anyone waiting on a response from me. There has been an large number of inquiries to the blog and wanting to be added to the Expat & Travel Blogs Map. Working on getting this sorted! Get back to my reading schedule. I know this will be easier once my boys are back in school. However I want to have more time devoted to reading blogs. Coming back from vacation I feel so out of it from what everyone has been up too. I do not like that disconnect and want to break down that invisible wall between the writer and the reader. I really appreciate when readers comment with their blog address in it, since it makes it so easy to click over to your blog. I love that you love ACR, and I want to keep up with your blog too. Even if I do not have time to comment, know that if you post it I will read it. Get the clutter out of the House. This is actually a continuation to a previous weekly wish about Getting Rid of Most of my Wardrobe. I have done it! Except that it has not left my house yet. Which is bad because I have dived into it to find items to wear. Luckily anything I have taken out I have remembered to put back in it. However, the huge IKEA bags filled with clothes is taking up needed space as well as being an eye sore. ***I also did the same thing with my boys’ clothes and with their toys and let me say they have finally been able to keep their room clean for two weeks! We do not have a separate play room so everything that is boy related finds a home in their room and making sure everything has a home has really worked wonders. Sell it or Give it Away. On the previous note I have bags of clothes my kids have never worn or have not worn since they left my in-laws. Plus I am not one to make my kids wear clothes I did not buy just to get a photograph of them in it. I believe that only enables the problem. I would have donated this stuff already, however some of them still have tags on them and my husband thought it best to try the Ebay route. So I need to either try Ebay with a bulk of boys clothes or just get rid of it. Become that Mom. Currently my sons go to two different schools, and neither closest to the house. Actually my youngest goes to a school that would take me an hour to get to on foot. This is due to rules on space for younger students in classrooms. I have had my youngest on the waiting list for his brother’s school since last school year. Supposedly that is supposed to give him higher priority over others wanting a spot at the school. So far he has not received an offer and there is still the issue of a cap on size restrictions. Since we do not have a car and I do have to be home for when the boys get home from school, there has been many things I have missed out on at my youngest’s school. Not to mention I hardly know any of the parents at either school since I cannot walk either of them to school. So I am going to become that mom that calls the school board every week to keep on them about a spot for my son. Our goal is to have them both at the same school. I want to never have to miss a school function or activity, to get to know the other parents’, and be more involved than we can possible be now. Finish Editing Photos. I have not finished all my photos from Wales, nor sharing with you all yet. However I also have a maternity shoot I need to finish from Wales. With the kids going off to school this week, I want to get that finished as soon as possible. Channel my Inspiration. Recently I have been so inspired and so motivated to do a few different things or projects. I love being in that state of mind because it creates productivity. However I want to make sure that I can and do channel the inspiration in the ways that I should so that it all works for the same underlining heading in my life. I am going to leave this as vague as it is now until I can let you in on the projects to come. Q: What are your Weekly Wishes? Have you linked up? Better yet, if you have a weekly wishes post, put the link in your comment! Another beautiful week here in Bath, England and this one will be a very busy one. My mum gets here on Wednesday, our friends get here on Thursday/Friday, and Saturday we leave for Wales for our Vow Renewal week. This weekend I auditioned for my first round of Pantos for the 2013-2014 Holiday Season. If you are not familiar with the UK’s Pantomimes they are a huge cultural aspect of theatre here. They traditionally start on Boxing Day and run for two -three months. The one I auditioned for yesterday is Cinderella and will run in January. It was a really fun audition with a lot of fun people. I ended up going with my American accent for this one since I felt it would make a fine character choice of the parts for which I read. Theres an audition for another Panto on Tuesday night and I ‘m hoping to take my boys and go to that one as well. I loved going to the Pantos as a young girl with my dad when we lived in England. I would love to be a part of them again. If you do not get the reference above, due search some clips of Pantomimes on YouTube. Basically this week I just want to be able to get things complete and ticked off my list before we leave. – Mail my gift to Intan of Syfnz Says for the Nectar Collective Snail Mail project. – Remember to take all the garbage and recycling out!!!! – Finish scheduling all posts and tweets for the week in case I do not have WiFi while in Wales. There are a good one hundred other things that need to get done but those are a bunch of the ones on my mind right now. It is with great pleasure I introduce you to one of my sponsors this month, Jade, of An Invisible Crown blog. She is a fellow expat living in England who hails from Australia. One of my favourite things about visiting her blog every week is seeing all her photographs. I love photographers when if I see their photo out of context, I can tell who took the photograph. She has a beautiful style in that way with the way she sees the world and documents it. But do not take my word for it, see for yourself. 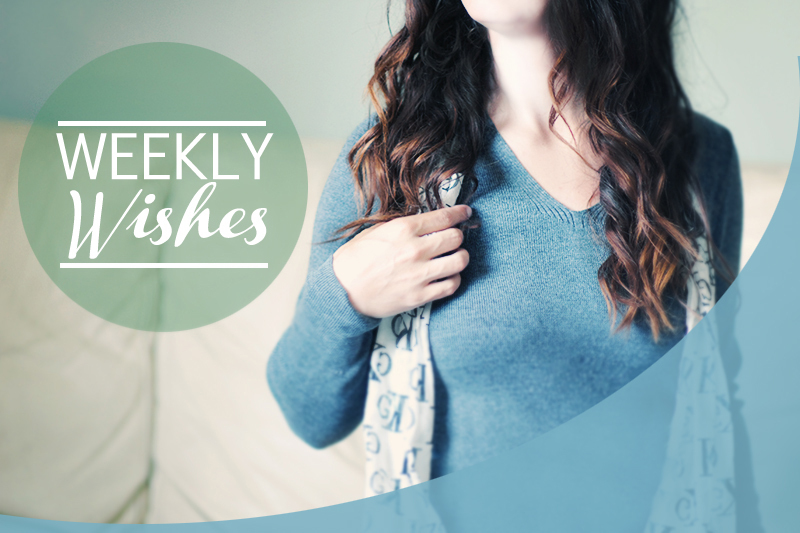 Most European calendars start the week on Monday and it is why I love starting off my Mondays with Weekly Wishes. As an update on Weekly Wishes #1, I went on my first audition in nine years yesterday. I know my accent was not perfect, but I still had a lot of fun. In place of being nervous I realised I have a lot of work to do in getting used to cold readings again. There is nothing worse than holding a script in your hand and getting that moment of disconnect when trying to locate the next line. It has fueled the fire of my passion for theatre and I am not searching out for more auditions to attend. I already have one next month circled on my calendar. 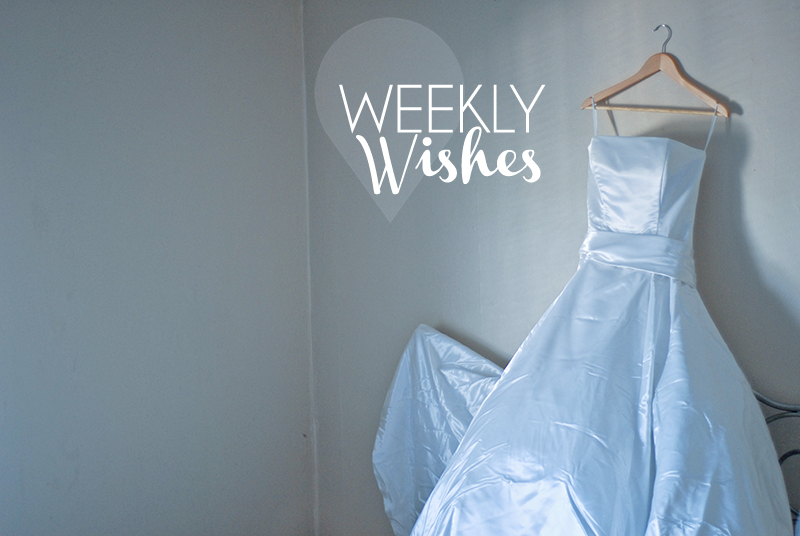 For Weekly Wishes#2 I have started to make a dent on the weeding out of clothes. Actually I have a great start on my kids’ clothing too! My kids mostly wear school uniforms, dressy casual (jeans and button up dress shirts), and pyjamas. Through outside family they have acquired all these clothes they never wear. I have stacks of brand new clothes that I am going to sell on ebay since the boys will not wear them. So we are getting closer to the finish line with the ‘Spring Cleaning’. My wedding gown. If you have missed out on the story about my custom made gown I had talked about how the zipper had broken in my ‘Crushed’ Self Portrait post. While I know we could get the zipper fixed I am not going to be able to get a corset in time for our Vow Renewal in a couple of weeks. Since I wore a corset with this dress 10 years ago I have decided to go another route. Today I will be taking out the zipper and attempting to make it a lace back instead. So my weekly wish is that I can accomplish this successfully as we leave on Saturday of next week for Wales. My American expat friend is going to be helping me this week with her sewing machine and we seem pretty confident that we can pull this off. I am going to be wearing flats since we plan to be out in the countryside of Snowdonia and I want to be able to walk without falling down on uneven surfaces. This means I can take up the hem and use that extra fabric to accomplish the goal. Fingers crossed! Today I would like to introduce you to my beautiful sponsor, Jessica. She is dear to my heart because she is a fellow USAF wife and is currently stationed in Italy. 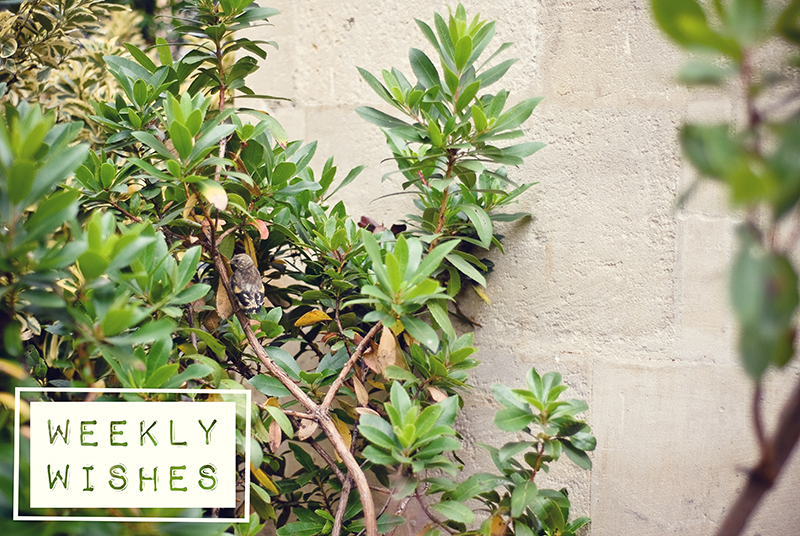 My friend Melyssa from the Nectar Collective has started a link up for Weekly Wishes. I have been watching the past few weeks, wanting to take part, and have decided if I must post twice on a Monday to do so than I shall. If you know me than you know I like to seek the positive and the good. What better way then to start the week off with that mindset and goals for the week. Hence ‘Weekly Wishes‘. This week I am tapping into my theatre background in the hopes to get back into it. It is something I have wanted to do once my kids were both ‘school aged’ and now that they are six and eight it seems about time. To be honest I am a bit anxious to start again when I have not done much if anything in the last ten years since practically growing up in community theaters and majoring in it at Uni. I am reading a play this week, working on memorization of lines, and beginning character development. It is my goal to work diligently on this every day this week. Which leads me into my major wish for the week. Dropping my accent. Since our first week here I have felt very self conscious about my american accent. Slowly over the last two years of our expat life in England I have started to say certain words with the local accent and have picked up english phrases and vocabulary. Yet still I board the bus and dread asking for the fare when my american accent is so prominent. If I am in restaurant and something is not right, I will not speak up because I fear the connotation that will go along with my accent. It sounds silly. But when you have moved so much and been forced in such different cultures and countries, assimilating to your surroundings in something my soul yearns to do. I do not want to stick out. The assumption that I am just here on holiday or having to explain that I am really not from anywhere to people I meet in town is constant. My kids accents are already changing so fast and my husband, an American, is changing faster than me due to going to work in town. So with my motivation to get back into the theatre my wish is to really work hard on softening my American accent and adopting a neutral English accent. Luckily I have a pretty amazing blogger friend, Amanda, who has been giving me tips and guidance and plenty of resources online to help me this week. I know it will be a long process not to be complete in just a week but its a start. With every great goal an action must take place to make a change.